In the first two parts of this series, we talked about the troop committee’s function in helping the troop and its scouts get ready for the annual trip to summer camp. Now it’s time to put it all together for the actual summer camp week. You might think that the Scoutmaster and assistants run the adult end of things at camp. This is largely true, since as with all troop functions, the SPL is in charge, and the Scoutmaster is there to back him up, give him support and advice, and generally interface to the rest of the troop adults. But the committee plays a vital role during summer camp as well. Here are some of the ways. Make sure there is sufficient adult participation. In addition to helping the SPL, you will need roughly one adult per patrol in camp at all times to help boys get to and from merit badge sessions and program areas, particularly on the first day or two. After that, they can usually find their way, so the adult role shifts to one of advisor and counselor, helping the boys digest the information they are learning and acting as springboards for thought and discovery. For instance, if a group of Scouts are working on the Environmental Science merit badge, an adult can help the boys measure out an area of the nearby woods for observation. Candidates for the Photography merit badge can benefit from an adult encouraging completion of the photo essay requirement and suggesting some ideas if the boys come up dry. Likewise, the Committee needs to ensure that at least one Scoutmaster or Assistant Scoutmaster is present in camp at all times. If there are gaps in coverage, perhaps it’s time to recruit and train additional ASMs. Of course, you will want at least one or two adults to accompany the first year campers to their T-2-1 program (our camp calls it PATH, or Primary Ability Training Huddle). Normally these are parents of the first-year campers. This helps the boys learn what’s being taught and makes life easier on the counselors. Emphasize the need for these parent volunteers at your informational meetings in the spring. Committee members help with the clerical requirements, such as issuing blue cards, maintaining health forms, applying for the tour permit if required, and arranging transportation to and from camp. 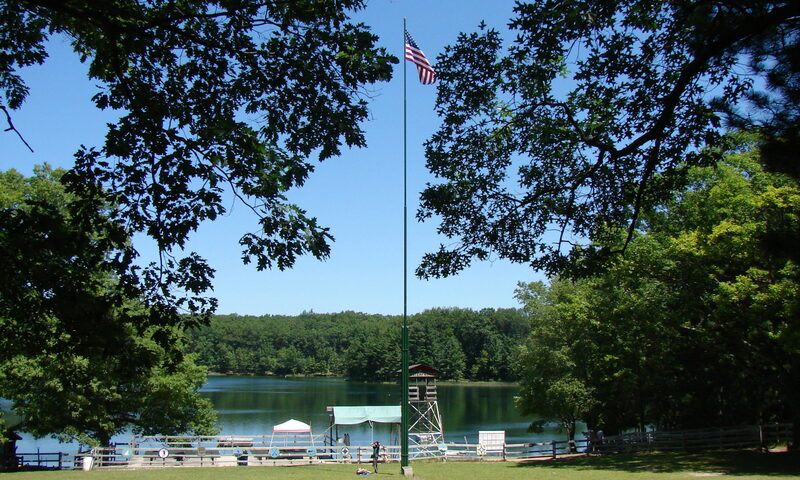 Visit program areas and take pictures of boys working on advancements in the first-year camper program, in merit badge classes, and at other camp activities, especially if troop Scouts are involved in camp-wide activities like archery tournaments, songs and skits, or aquatic activities like the mile swim or polar bear plunge. Pictures can supplement the photograph historian’s records and make great publicity if one or two good ones are sent to the local newspaper, along with a story, when the troop returns home. Conduct Boards of Review toward the end of summer camp week for those boys who have completed rank requirements and had their Scoutmaster Conferences. Most troops don’t meet regularly over the summer or change their schedules, and BORs are more difficult to obtain as a result. Boys should enjoy immediate recognition for their efforts while the advancement activities are still fresh, rather than making them wait several more weeks. In the case of First Class and above, it’s especially important because the clock starts ticking on a boy’s leadership requirement after successfully completing his Board of Review. Committee members can be there as interested and helpful adults for any boy who is bewildered by the experience, having personal issues with other campers, or is just missing home. Adults can help just by asking boys how things are going, what they’ve learned and how they are enjoying the camp experience, and offer encouragement and the knowledge that someone cares. Many a homesick camper has been encouraged to complete the week by a compassionate adult. Of course, in most cases an individual adult doesn’t need to be there the entire week, as long as you have a few adults at various times during the week. Make sure they know they are welcome whether they can only stay a day or two or for the whole time. Next time, I’ll get into things the committee can do after summer camp’s all done to make next year’s experience even better.